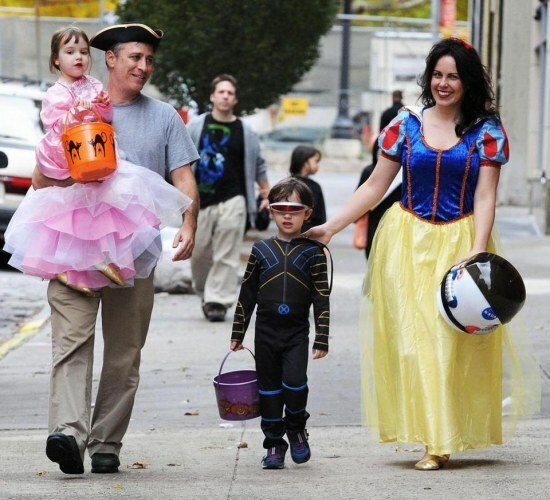 Jon Stewart and Wife Tracey Prepare for Life After the Daily Show … and it Involves a lot of Animals! 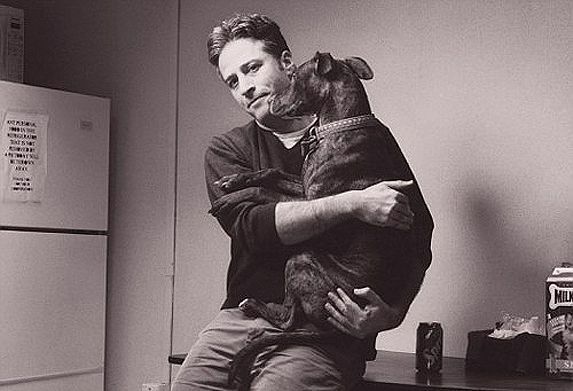 Jon Stewart’s leanings toward a greener world and fair treatment of animals is pretty well known. Did you see the episode where he positively destroyed New Jersey Governor Chris Christie over vetoing a popular gestation crate ban? How about his thorough interview with Farm Sanctuary founder Gene Baur? Or even the segment where he took on poaching? Though the playbook for his reporting style likely reads, “A. Place tongue firmly in cheek. B. Explore all sides C. Mercilessly skewer,” he’s almost universally lauded for being the voice of reason in an age of scaremonger journalism and corporate pandering by “news” networks. Oh, how we will all miss him. 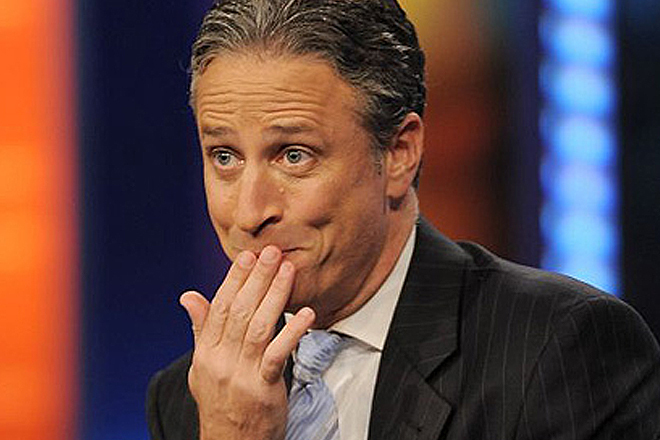 With the announcement that he will be leaving The Daily Show at the end of this season, speculation as to what’s next for the comedian has encircled him. While it’s still up in the air what kind of future magic he’ll deliver, and in what medium, the only thing we do know is that he’s going to greener pastures. Literally. This is a moment of zen if we’ve ever seen one. You see, Tracey – a former vet tech – is not only a vocal and steadfast animal advocate herself, she’s the Editor-in-Chief of the online parenting magazine Moomah, whose April 2015 issue is entirely dedicated to veganism. Makes sense since she’s vegan herself! Even so, why would she devote an entire issue of her magazine to the subject? “Being vegan myself, I think it can only benefit others to at least ponder what life would be like on a diet filled with fewer animal products,” she writes. How else do you think she has all that energy for kid crafting? While reports are circulating (though are unconfirmed) that their intention behind purchasing the farm might, in fact, be to house more rescues in a sanctuary type set up, it wouldn’t be entirely surprising. After reading Gene Baur’s first book “Farm Sanctuary: Changing Hearts and Minds About Animals and Food,” Tracey reached out to the organization in order to offer support and began taking her children to visit the animals at their various locations. She even went so far as to gift all of the couple’s guests Adopt-a-Farm Animal sponsorships last Thanksgiving! Wasn’t Snow White the one who hung out with all the animals? So fitting. The couple are such supporters of the organization that two sheep were named Jon and Tracey in their honor and the pair recently had a little sheep of their own named Hazleton. She’s even taken educating people about animals a step further by penning a new book coming out October of 2015 titled “Do Unto Animals,” which promises to be a humorous and insightful look into the secret lives of animals and a guide for how to live alongside them. A portion of the proceeds will go to, you guessed it, Farm Sanctuary. This happy mama was aptly named after another happy mama. While the loss of Stewart from a half-hour comedy show that has turned out to be a better source of news than most other network programs on air still stinging, it serves as a slight balm to picture him awash in the love of rescue animals on an idyllic farm in America’s Garden State. Maybe his next show can be a family oriented glimpse into his life with Tracey and their animal friends? We can dream … we can dream. Out of the abundance of the heart, the mouth speaks. Am Singh Darren from NY, USA. My wife EX husband used a spell on my wife and she went back to him. I felt heart broken for i didn\’t know how to get her back. I did all i could do to get her back with her close friends but nothing worked out. So, in my place of work, i tried searching for help online and i found various testifiers of how a Doctor named Osemu has been faithful & helpful with his spells. I gave it a try by getting in touch with him and i explained my problem to him. Doctor Osemu prepared a spell for me that brought back my wife within 12 to 16 hours after i contacted him. He assured me that nothing can break us apart again and since 2015 till this moment, i have been full of joy with my wife. Contact him today for any help via Email: [email protected] or call me on +1 (914)-363-6524 for more info or what\’s app him on +2348135254384.